Putting Weight Loss Into Perspective - What Have You Lost? Many of you have been following my weight loss journey, and some of you are on a weight loss journey of your own. Part of losing weight and getting fit is putting things and life into perspective. Am I right? Well, have you ever wondered what your weight loss could be compared to? 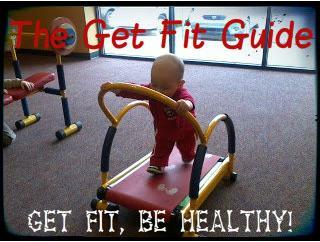 I got this from another forum and thought it was fun and perfect for my current Get Fit Guide. I want to know that the clothes that I put on my baby and children are clean and fresh. The newest member of the Purex Crystals family was made specifically with babies’ gentle skin in mind. 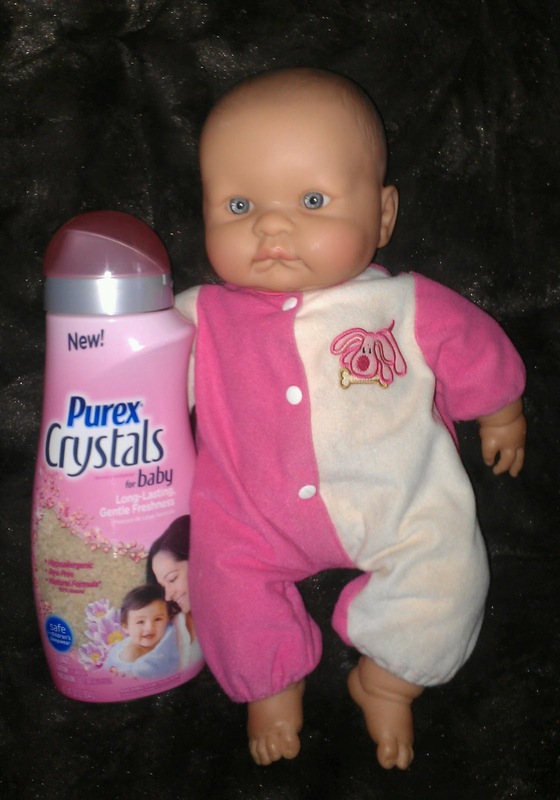 With Purex Crystals for Baby, I am confident that I am getting those results. Not only do they preserve the flame retardant benefits of your children’s clothes, they leave baby clothes (and towels) smelling fresh and clean, soft and static-free! The first thing I noticed (almost immediately) was the scent. Purex Crystals for Baby smell light, fragrant and calming... making them perfect for baby and their delicate skin. Safe, gentle and effective - exactly what mom ordered! Purex Crystals for Baby work the same way in both top loaders and HE washers. Simply pour the crystals directly onto your laundry in the washer’s drum and then start the load of laundry. The crystals do not go into the fabric softener dispenser! Purex Crystals for Baby are safe for all laundry and will not harm, wear down or discolor your fabrics like oil-based softeners. 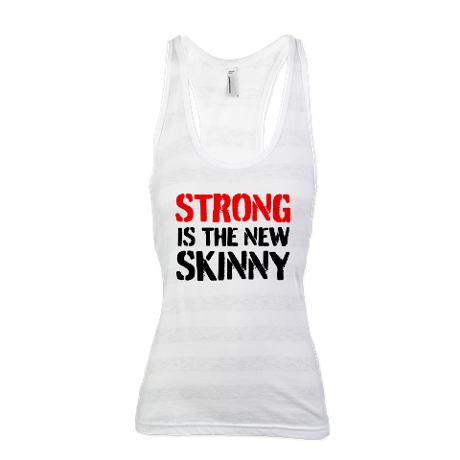 They are also hypoallergenic, dye free and 87% natural! The product won’t harm your clothes and is safe and convenient for the entire family, not only the little ones! Giveaway Ending Tonight: WIN a FREE WEEK of Nutrisystem! Don't miss the opportunity to "try it before you buy it!" Nutrisystem really works, I lost 56 pounds in just 7 months and the food tastes amazing! 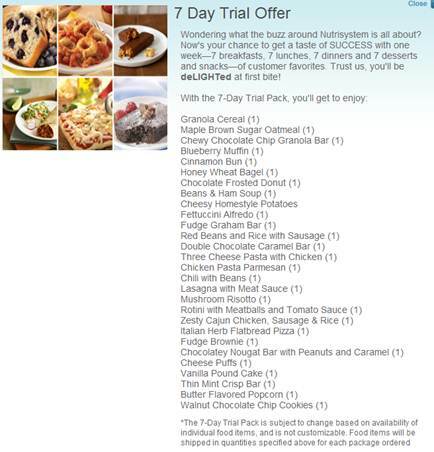 Be sure to enter for your chance to WIN a Nutrisystem 7 Day Trial! 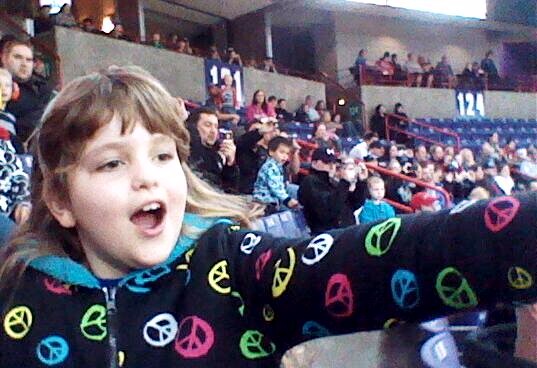 Planning the perfect birthday party for my kids has always been one of my favorite things. It is a special day that I look forward to each and every year. When they were younger, choosing the perfect party theme and party supplies was simple. But as they get older the choice becomes a little more difficult, no more cute and sweet birthday party themes. My daughter turned 9 this year, and she chose to have a slumber party with a tie dye theme! I love to coordinate every aspect of their birthday parties, so my top priority was finding invitations, decorations, party favors and tableware. The Tie Dye Fun deluxe party pack included all the essentials for the perfect party. Invitations, dinner plates, cups, forks, spoons, activity placemats, napkins, centerpiece, tablecloth, mylar balloon, 18 balloons (3 different colors), curling ribbon (3 colors), crepe paper (3 colors), confetti and cake candles. 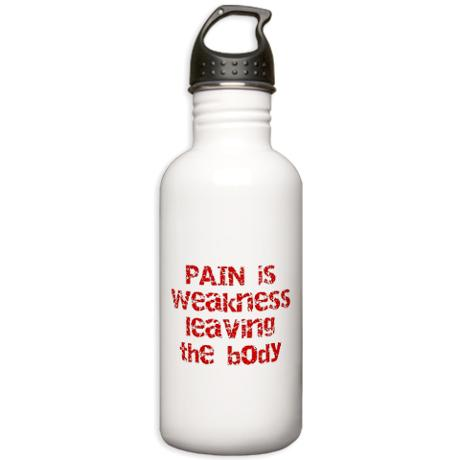 The colors were bright and vivid, and I was highly impressed with the quality and durability of each product! They aren't your ordinary "throw-away" items that rip or tear with the slightest of use. In fact, the children used their paper cups all evening, refill and refill and the tablecloth has been on our kitchen table for over a month now. 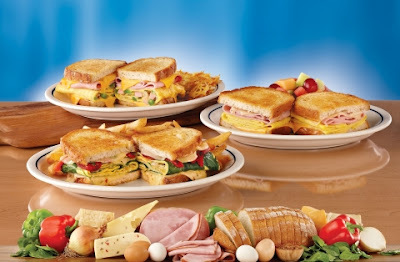 IHOP Launches NEW Griddle Melt Breakfast Sandwiches! My favorite meal has always been breakfast. French toast, omelettes, pancakes, and breakfast sandwiches... Did you know that breakfast sandwiches are the largest selling breakfast items out of the home, with more than 55 billion servings consumed each year? While others may offer guests breakfast sandwiches that are pre-made in advance, every single Griddle Melt sandwich is custom made for freshness and maximum flavor! Spinach, Roasted Pepper & Cheese: Sautéed spinach in a fluffy egg omelet topped with roasted red peppers, onions, melted Provolone, Parmesan and Pepper Jack cheeses on grilled artisan sourdough bread. Served with your choice of hash browns, French fries or seasonal fruit. Are You Red Carpet Ready? Wholly Guacamole & Daily's Cocktails Giveaway! Are you ready to watch all of your favorite movie stars walk down the red carpet? I'm gearing up for the Oscar's with Wholly Guacamole and Daily's Cocktails! No matter who is attending your party, Wholly Guacamole is sure to have something to satisfy even the pickiest critic! 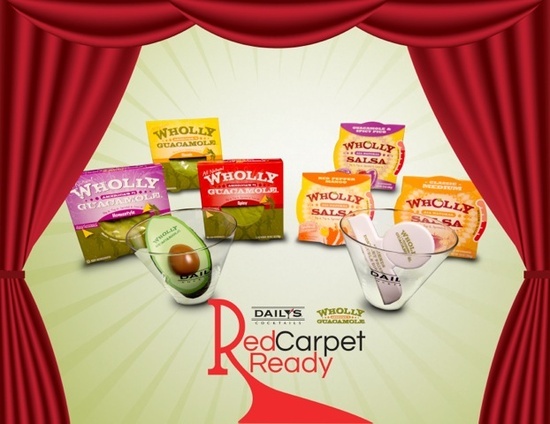 Wholly has a wide variety of guacamole and salsa flavors that will spice things up! 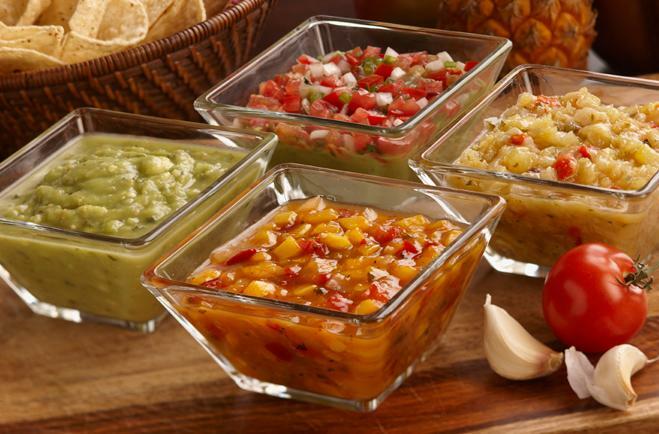 From classic and spicy guacamole, to red pepper mango salsa! Which variety is my favorite? I honestly do not think that I can declare one flavor victorious over the others. Each one is bursting with flavor, and perfect for dipping and topping your favorite foods. They are all mouth-watering... in dips, on chips, burgers and even sandwiches... simply DELICIOUS! What could be better than cuddling up on the couch, watching a chick flick and enjoying snacks and a fruity frozen drink? Daily's Cocktails require no mixing of ingredients, ice or blenders. Simply place the liquid pouch in the freezer for five hours (or until frozen), gently massage, tear open the top, squeeze to pour into a glass and enjoy a smooth frozen wine cocktail! Serving sizes are really a magical and mysterious thing. They don't seem like they'd be all that hidden to the majority of us, but they are! In fact, just by learning to pay attention to portion sizes and serving sizes, you could easily lose weight without really trying all that hard! Seriously: before you purchase anything or put it into your shopping cart, flip the packaging over and look at the serving size. You'd be surprised by how things will trick you. That small bag of chips near the checkout counter? I bet you'd be surprised to know that a lot of those contain two or three servings in just one bag. Most grab-and-go soda bottles? Those sometimes contain two servings in just the one bottle. Those quick-and-easy Mac and Cheese boxed dinners? Those usually have four to six servings in them. Anytime I go children's clothes shopping, I head straight to the clearance section. 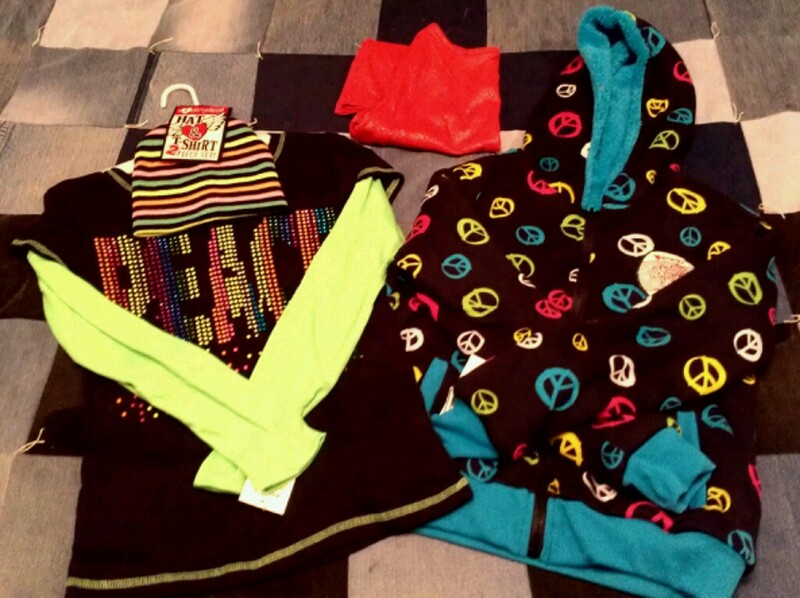 This allows me to get the most for my money, while dressing both of my children in the latest styles and fashions. I always get excited to see (and share) just how much money I can save by shopping clearance and stacking it with coupon savings. I my most recent trip to Kohl's, I was able to get both of my kids some new clothes, and I ended up saving a whopping $500! Did you know that childhood obesity currently affects 17% of all children and adolescents in the United States? As a mom, these statistics are very concerning! 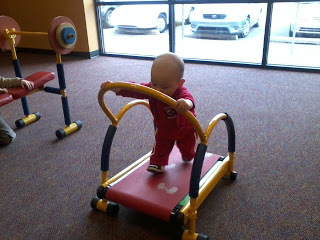 My nephew on a mini treadmill at his Mommy's gym! As a parent of two young children (ages 9 and 12), it has always been a priority to keep them both active in sports and after-school activities. My oldest started playing soccer when he was 3 years old, and my youngest started dance class when she was just 2 1/2 years old. Currently, my son is in wrestling. He has practices 2 - 3 days per week and tournaments on Saturdays. My daughter is in a Zumba class on Tuesdays, and a swim class on Thursdays. Cross country will be starting mid-March and they are both signed up for that already. We also love to go for walks, ride bikes, and other fun outdoor activities. We walk several local fun runs every Spring, including the MS Walk, Spring Dash, and Bloomsday. Cold and flu season is upon us and with that comes runny noses! We all know that boogies, runny and stuffy noses aren't much fun, but no matter how hard we try to keep our kids healthy, they are bound to catch a cold and get a runny nose (or two). Even as adults, we know how sore noses can get from constant wiping. 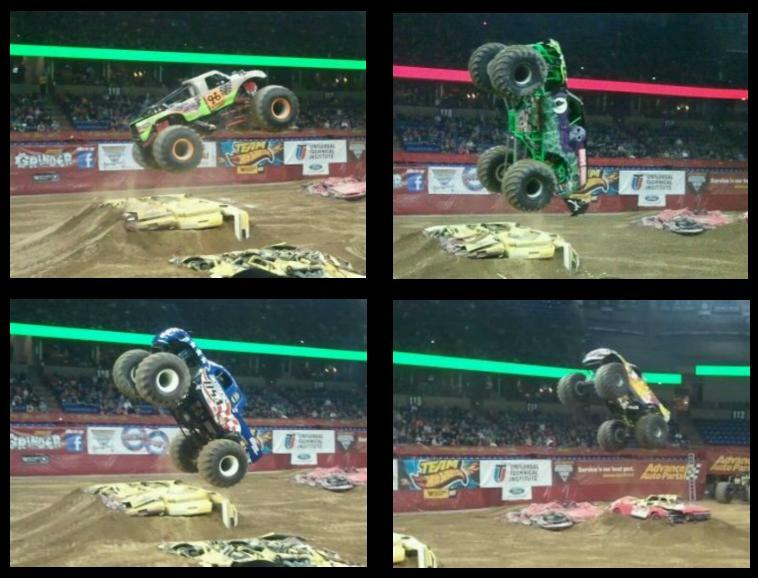 For all of those sore little noses, Boogie Wipes come to the rescue! Boogie Wipes are made with natural saline to dissolve boogies (mucus) caused by the common cold, allergies or all of those other booger-filled kid moments. Boogie Wipes are super soft and moist. They contain both Aloe and Vitamin E. They cool and soothe noses with each use. Making it easy and painless to wipe those runny and boogie dried little noses. No need to pinch and squish, causing your children to squirm and fuss wiping their noses. Boogie Wipes are available in Great Grape, Fresh Scent, Magic Menthol and Simply Unscented. Our favorite is hands down, Great Grape! My 9 year old daughter says... "I could sniff these all day long, it smells soooooooo good!" Apples, broccoli, carrots, celery, and oranges... What do they all have in common? 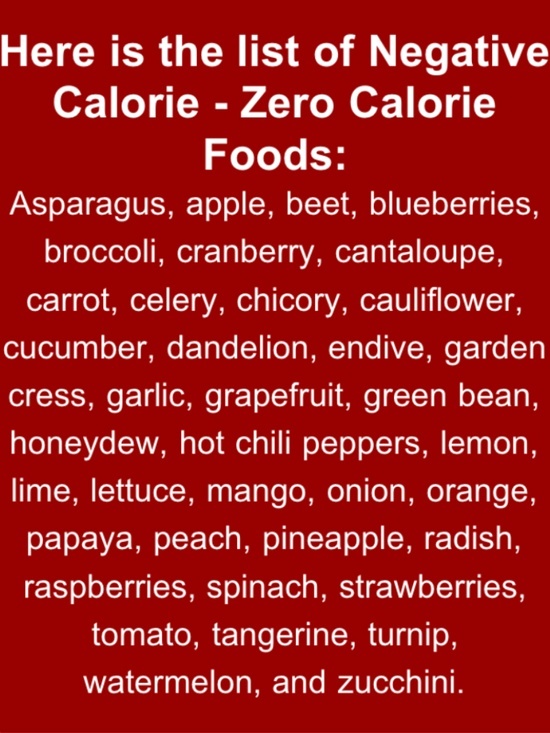 They are among those wonderful negative calorie foods! 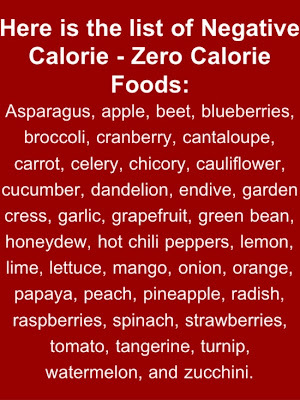 Also known as zero calorie foods, these fruits and vegetables take more energy to digest than they contain in calories. Your body actually burns off more calories in consumption than the foods supply. For healthy weight loss and a little extra boost, add some of these foods to your diet each day. You'll be glad you did! Today I did something that I haven't done in a very long time... 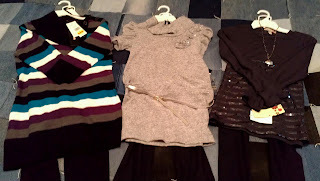 I bought some new clothes for myself! That's right! I don't know what came over me, but I actually managed to get out of the store without putting them back and buying something for the kids instead! I'm actually pretty proud of myself. In addition, I also purchased myself a pair of workout pants at JCP. I had a $10 off $10 purchase coupon, and wanted to combine that with an item that was on clearance to maximize my savings. 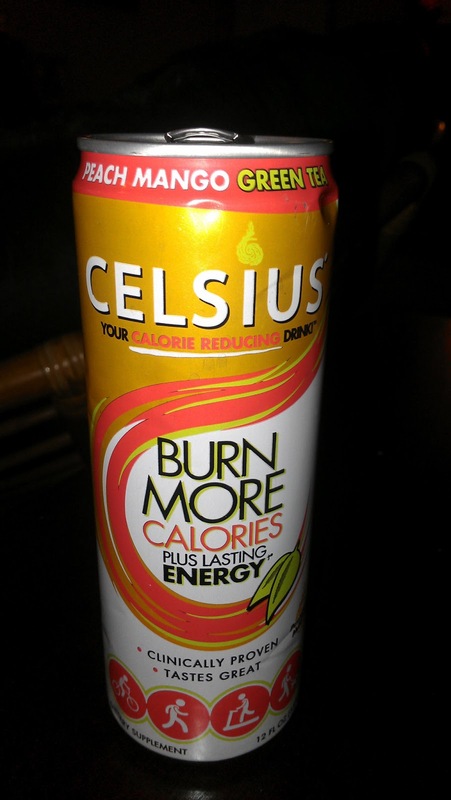 I was first introduced to Celsius negative calorie drink at Costco. It happened to be one of their sample products on one of our many visits. 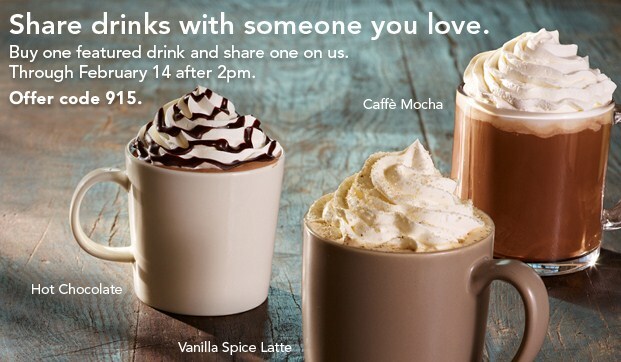 I really liked the taste and loved the benefits that it promoted. The thing that instantly captured my attention was that is is suppose to help burn up to 100 calories with each can. I am a stay-at-home mother of two children and lets just say that I need all the "extra" energy that I can possibly get. I find that when I drink a Celsius first thing in the morning I feel energized and ready to face whatever the day may bring. Celsius helps you get fit and stay fit. 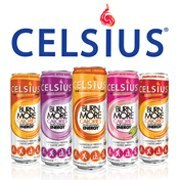 Celsius is your partner whether you walk the dog or workout at the gym. Studies show that drinking a great tasting Celsius before you exercise may help you burn calories, raise metabolism and provide lasting energy to power you through your routine and beyond. Even better, studies show Celsius may reduce body fat, increase endurance and provide greater resistance to fatigue (increased energy). I've never been one to follow weight loss fads or use products that promised miracle results. I think that losing weight takes much more than a magical pill or drink. 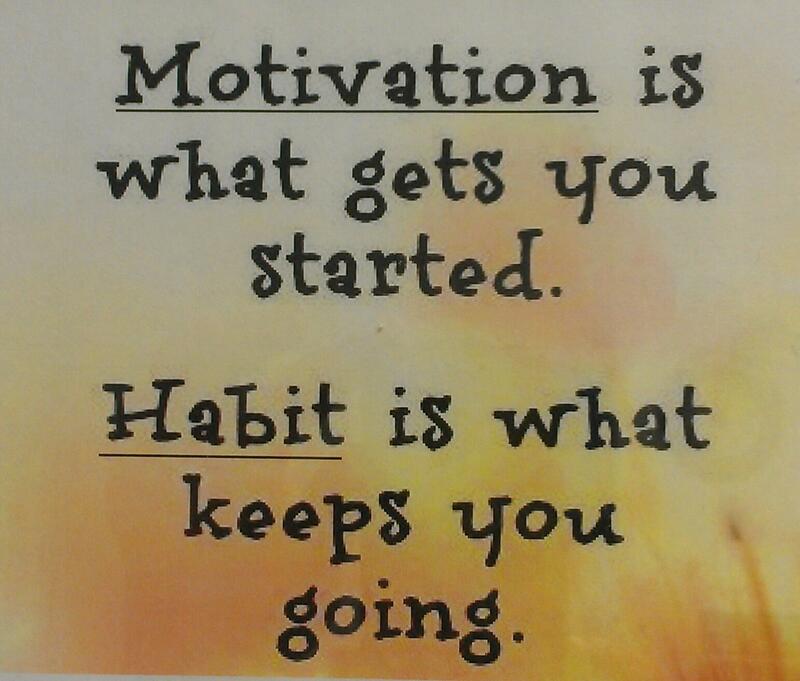 I believe that it takes determination, dedication and an overall lifestyle change in order to see direct results. 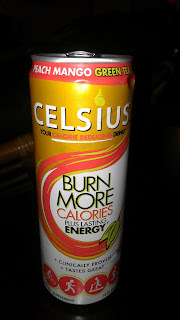 Do I think that Celsius has helped me on my weight loss journey? Absolutely! I like to think of it as my little secret weapon. It seems to give me that added boost of energy to help keep me focused on my goal. The flavors are wonderful, and I love the fact that there is enough variety that I'm not going to get tired of drinking the same flavor over and over again. Too much of one thing can cause a person to get bored and/or give up. I don't have to worry about that at all. I also love the convenient Celsius on-the-go packets. I keep a few in my purse, so I always have them with me. I just add them to a bottle of water and I'm ready to go! With every new year comes new goals. I don't make New Year resolutions, I simply promise myself to make simple life changes. I think life changes are easier to maintain than resolutions are. Although, it might simply be just mind over matter. Call it what you wish, but making better choices will make for a better year. My main focus this year is to lose weight, another 10 - 15 pounds is my goal. In the last 7 months I've lost 56 pounds. Simply by cutting back on my portion sizes, exercising 3 days a week and snacking better. It really is the little things that make the biggest difference. For example: instead of eating 3 pieces of pizza, I'm eating 1 piece of pizza and a small salad. Instead of drinking a large soda, I'm drinking water with a slice of lemon. I know the new year has only just begun, but I already feel better. I feel better about how I look and it shows through my actions. 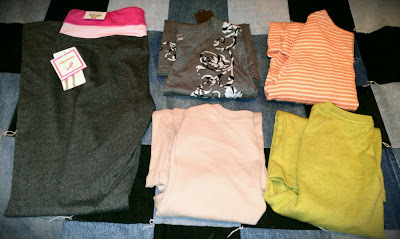 My clothes fit the best they have in years and I'm not covering myself up with baggy t-shirts and sweatshirts anymore. I have so much more energy that it makes my life better in so many other areas. I'm able to be more active and do more things with my two young children. I'm not as tired throughout the day and am able to get so many more things done around the house. 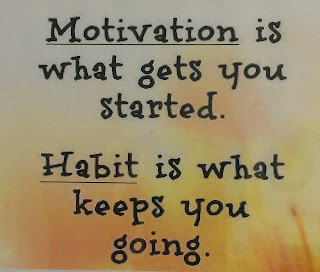 What is the motivation behind my weight loss goal? It's not about the number on the scale. My motivating factor is my children. I want to be able to keep up with them and everything that they do. I want to be around to watch them grow up and have children of their own. 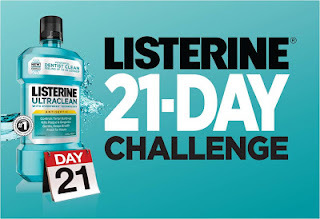 Two weeks ago I shared a post about the Listerine 21 Day Challenge that I was participating in, and how you could join. I can't believe how quickly this oral care challenge is flying by, but I'm thrilled to report that I've stayed on top of my game and can really feel the difference! I've stuck to my goals of brushing twice a day, flossing once a day, and rinsing every night before going to bed. As a wife and a mom, Valentine's Day is about spending quality time with the ones I love the most - my husband and two children. We always have a nice dinner at home, no crowds or long lines to wait in, no reservations, no worries. 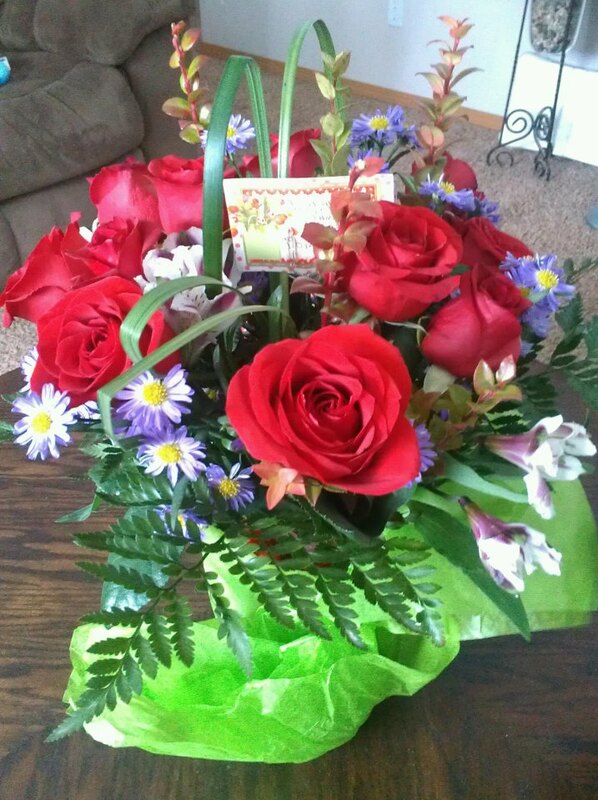 Everyone loves getting flowers from their sweetheart, and if you are going to send Valentine's Day flowers, it's not too late! To sweeten the deal, use coupon code '10save' at check-out for $10off your order! How about something a little sweet and a little healthy... HANDMADE CHOCOLATE DIPPED STRAWBERRIES. 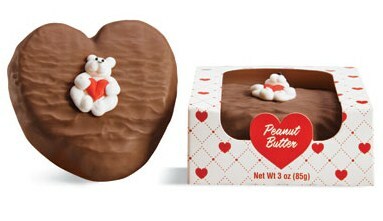 It's something that can easily be done at home for a fraction of what it costs to purchase them at a chocolate store. ANYTHING dipped in chocolate would be just as perfect, pick their favorite. How about CHOCOLATE DIPPED OREOS. How about something from the heart... a HANDMADE CARD. You can be very creative, let your heart lead the way! Glitter adds the perfect touch! Something that my husband and I have done in the past are LOVE LETTERS to one another. I have all of mine saved in a special envelope, I love to read them from time to time. How about baking a HEART SHAPED CAKE. You don't have to have a heart shaped pan to make one, it's very easy! Bake one square cake and round round cake. Cut the round cake in half, place each half of the round layer against one upper side of the square layer to form a heart. Frost and decorate. My son is in 6th grade, and will be twelve years old next month. Girls have always liked him, and he's always been friends with them but never interested. He still thinks girls are "gross" and doesn't ever think he will have a girlfriend. As a mom, I'll take that for as long as I can! 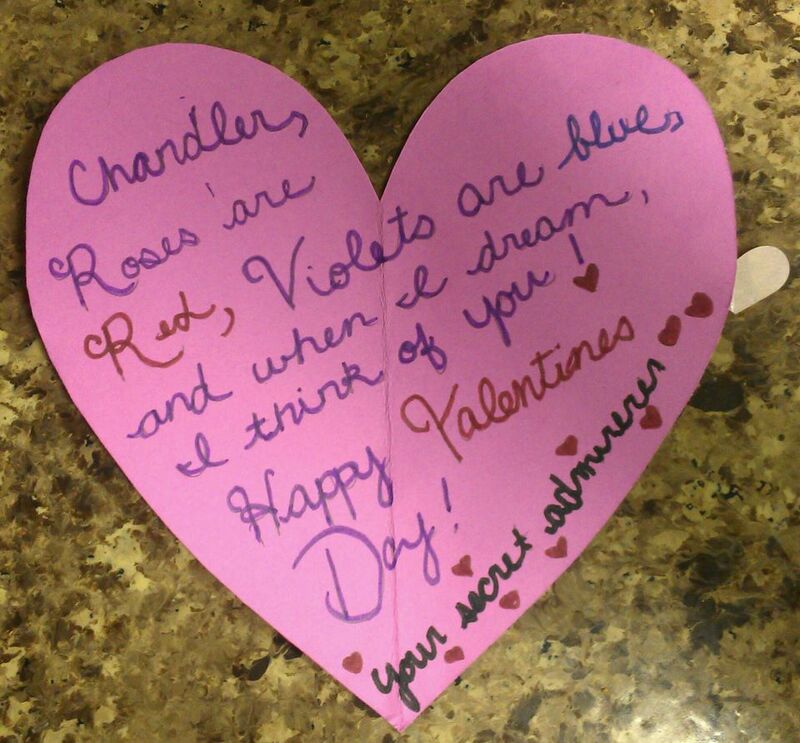 A couple days ago, my son found this love poem in the bottom of his backpack after school. Yesterday, after recess he found another cut-out heart and a bag of M&M's in his backpack. 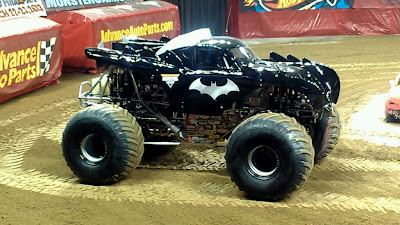 I wonder what he's going to come home with today? I am thrilled to announce that I am an official Smooth Fitness Ambassador, and that my treadmill will be arriving this week. 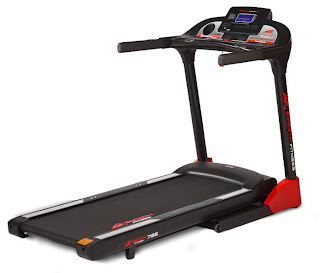 I already have an elliptical machine, but I have been wanting a treadmill for a very long time! I am actually not sure who is more excited for our new treadmill to arrive, myself or my two children. 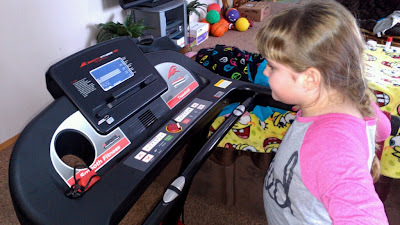 Over the next four months, I will be posting about my family's experiences using our new treadmill. I have already lost 56 pounds, and am pushing to lose another 10 pounds. I also want to be able to run a 12K with my son for the very first time this year. My son is excited to change up his morning workouts that keep him conditioned and in shape for sports, and my daughter simply thinks it will be fun (she's 9)! We do our best to enjoy a family movie night once a week, typically on Friday or Saturday night. Last night my son, daughter, husband and I had our weekly family movie night with The Jungle Book: Rumble in the Jungle. To add to the fun, the movie comes with two cute collectible figures, Mowgli and Baloo. 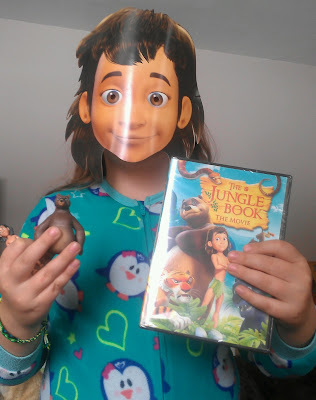 We loved The Jungle Book: Rumble in the Jungle, and my daughter asked if she could take it to school for their Valentine's Day party so her entire class can watch it! 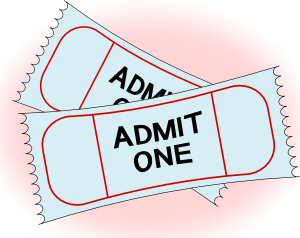 Date Night: Giveaway Ending Tonight - 2 Movie Tickets! What movie would you like to see in theatres? If you have a Keurig, hurry on over and grab a FREE K-cup sample from Gevalia Coffee! 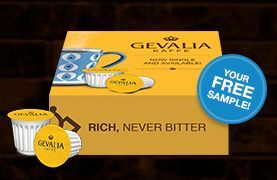 After filling out a quick form, you’ll be receiving your delicious free sample of single-serve Gevalia coffee for use in the Keurig K-Cup Brewer in 6 to 8 weeks. 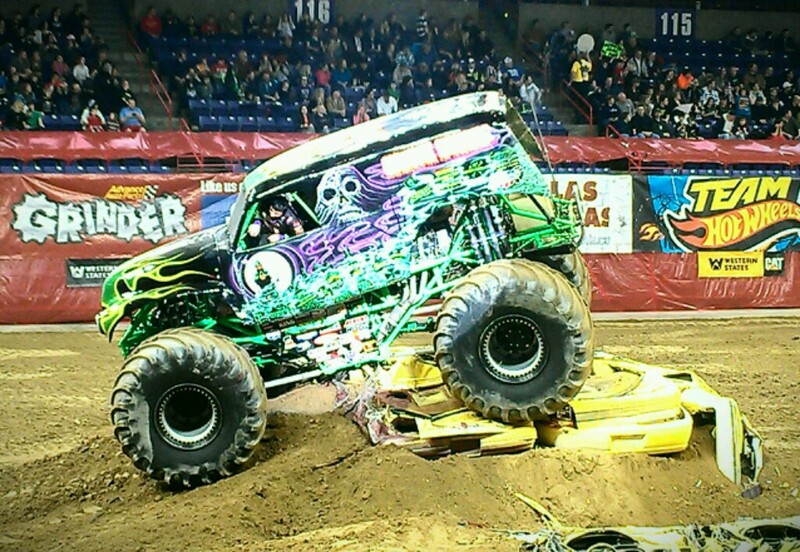 Are you looking for something fun and exciting to do with your family next weekend? 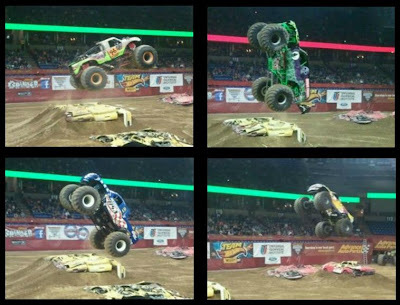 Be sure to enter to win a 1 of 7 family 4 pack of tickets to see Monster Jam at the Spokane Arena on Sunday, February 17th! Have you ever been to Monster Jam? You’re just three quick steps away from burning more fat than diet alone! This year, be the star in your own Success Story. 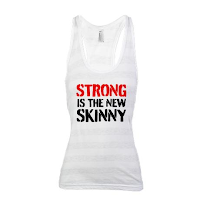 Every day, women who thought they couldn't get fit find out that they can at Curves. Burn up to 500 calories with our 30-minute workout, which combines strength training and cardio for a workout that works your entire body--from head to toe. It works every major muscle group and gives you results that last. Now's the time to take the first step toward YOUR success.